Well, hello everyone! It's Dave the Recalcitrant, back in the Saddle again. Why did I capitalize the word Saddle? I have no idea... perhaps I've lost my edge, taking 6 weeks off... will you still respect me if I Randomly capitalize words in this post? So, you all look good! Looks like the summer has been good to you all. You look well-rested, a little more tan, refreshed. Nice. You smell good, too! Me? Well, plugging along. I'm glad I took the time off. Got some writing done. Read a couple nice books. Had a birthday celebration week (I'm 43 now! Don't believe me? Well, cut me in half and count the rings!) Still plugging along with the acting classes (not famous yet, but I'm working on it!). 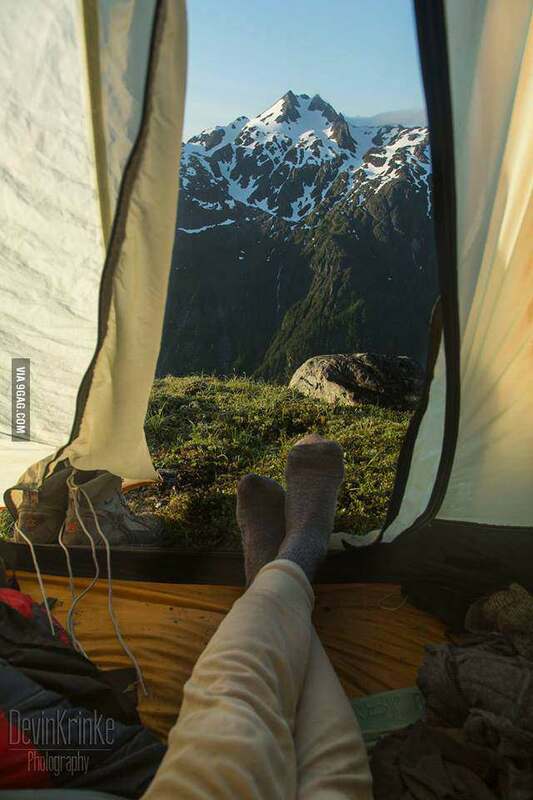 Didn't go hiking in the mountains - sorry, those aren't my feet in the opening photo... basically, it was "the road well-traveled" for me. Work, church, sleep, play, create, in various combinations. I had a birthweek instead of a birthday this year (back around August 16). It involved various outings and events that stretched over the whole week around my birthday. I had things planned for 7 days continuous, but hey, things don't always work out as planned, eh? Some got cancelled, others got moved, but in the end, I had a nice dinner, had a LAN party, and a Scrabble party, and saw a movie or two... so all things considered, I'd call it a win. I also went downtown to see the "Best of" screening for this year's "48 Hour Film Festival", in which teams of filmmakers compete to create a short film from scratch in 48 hours. It was a fun evening: some great short films, a cool theater, some passionate, nutty people... my kind of scene. To participate, you gather a team of actors, sound people, an editor, director, etc, and sign up. Then one Friday night, everyone gathers to grab a genre out of a hat. You also get a character name, a prop, a line of dialog, and a concept which all have to be worked into your final film (between 3 and 7 minutes in duration), and boom, you have to create a script, film it, edit it and submit it before Sunday evening. Pretty cool concept, actually, and some of the finalists were quite good. My acting instructor was featured in one of the final 12... can't seem to find it on YouTube, but when I do, I'll post it so you can see the man in action. The winning film was called "A Man Called McClane". You can click the title there and see it, if you want. There are competitions in cities around the country and beyond, and the winners from each city go on to compete at the national level. It's fun to pop "48 Hour Film Project 2013" into the YouTube search bar and watch some of the winners from all over. Just to see what people are doing, and are able to do in 2 days. Very fun. I will definitely participate next summer. So I read a couple books since last we spoke. Colours in Steel, by the great KJ Parker is the opening book in a fantasy trilogy about an aging swordsman. Excellent book, enjoyed it greatly. Another title I read was a collection of story "episodes" in a series called Black Book, by Dylan Jones. It was an intriguing tale, but not much of it was told in Volume One, and I'm not sure I'm interested enough to pursue the series any further. The third title I read, in a nod to blog friend Logan, was my first ever "graphic novel" experience.... Volume One of Sandman, written by Neil Gaimann. I like the art, but I'm not sure I like graphic novels as a story-telling medium... the story moves so fast, and uses so little info/dialog, I didn't really feel like I could savor the story at all. I'll try another graphic novel (I bought The Watchmen), and try again before abandoning the medium. Currently reading a non-fic book on "story maps" for screenplays, and a collection of Fantasy short stories by various genre luminaries, called Unfettered. I'm a half-dozen stories in, and frankly, I'm rather disappointed by the content thus far. Pat Rothfuss has a piece in there which is wildly unlike anything of his I'd read before, and really, I couldn't finish it. Movies I've seen include: Wolverine, We're the Millers, Pacific Rim and I will be seeing a double feature on Labor Day with my friend Lloyd consisting of Star Trek Into Darkness and World War Z. Plus, a truckload of titles on Netflix too numerous and varied to mention. So what dost the future hold? Well, more dental nonsense, a physical, jury duty and more of the same listed above (work, church, reading, writing, entertaining myself as my life drains away, etc.) What? You expected me to suddenly transform into someone interesting on my hiatus?! Sorry to disappoint you! It's just me! Plain ol' me! If anything fun and/or interesting happens, I'll be sure to add it to my next post. In the interim, have a great week, eh! I love the idea of a birthday week. I suggested it to my mom for her birthday this week, but she never was able to do it. That thing called "work", you know. I prefer a monthly birthday myself - each month on my birthday date, I do something cool/fun/whatever for myself. I'm getting older, I may as well enjoy them while I can. The marathon guy is impressively nuts. Your hiatus seems to have made you better read and better viewed. Well, you know what I mean. Enjoy the upcoming movies. Havette: Yeah, comments get gobbled now and then, I don't know why. It bums me out -- think of all the delicious comments I've missed! Hey Dave! Good to see your blog, I miss you bro! Glad to see you doing well! Welcome Haven't heard from you in ages, how you doing? Sandman gets better with each issue, though it may be a hard foray into graphic storytelling (I wouldn't call it a graphic novel). I'd recommend Bill Willingham's Fables as a great intro. Watchmen is a good one, too, though it took some time for me to like it. Regardless, glad you tried one. John: !!! Hey, John! 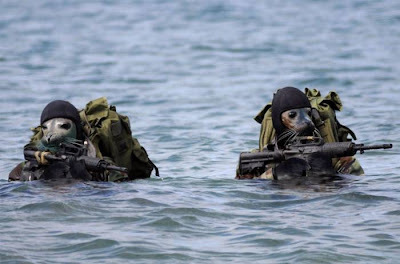 Hope things are going well for you on the high seas... hope to see you when you stop in San Diego. Hang in there, bro. Love you. Ann: Are you asking me, or John that question? Logan: Thanks for the recommendation. I'll read Watchmen soon - maybe give it a bonefide review! You're back! 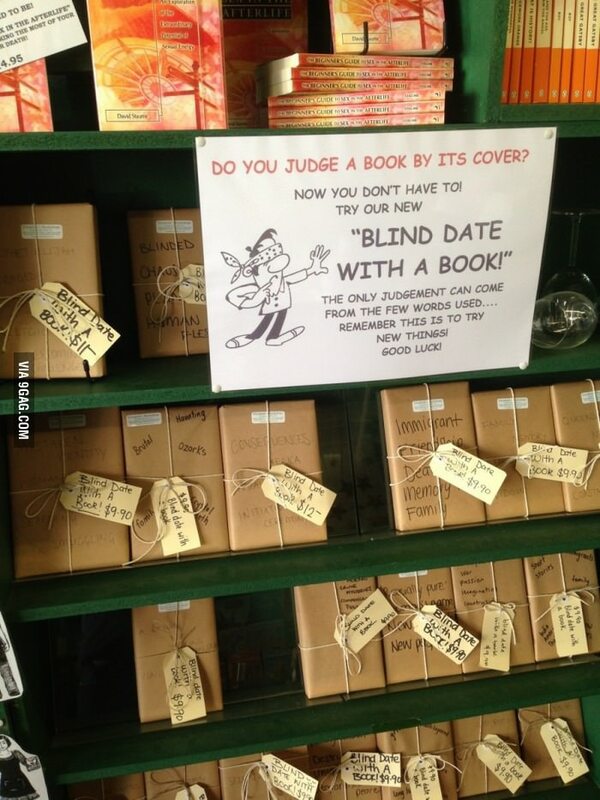 Yay :) btw, love the idea of the "blind date" book! I so would do that if I had a bookstore... Oh, and jury duty again? I thought you just had that? Man, What a Steaming Pantload!